This is a southwest department. Famous because it has the oldest colonial buildings in the country since it was here were the Spanish Conquistadors first settled. It is notable given its geographic variety which includes numerous volcanoes, thermal water beds, valleys, mountains and rivers, which allows several crops to be planted here, such as coffee, wheat, fruits and vegetables, as well as breeding of livestock. This department has an overall area of 1951 sq. kilometers (1219 sq. mi.). Equivalent to 1.8% of the nation’s territory with a cool climate on the highlands, and warm on the coastal area. It belongs to the VI Region, along with Totonicapán, San Marcos, Suchitepéquez, Retalhuleu, y Sololá. It is formed by 24 Municipal Districts that go from the highlands to the South Coast. The languages and tongues spoken are Spanish, Quiché and Mam. One of the curious features of this city is that it is located in the same place where it was initially founded over a thousand years before the Spanish Conquest. During the pre-Hispanic period, Quetzaltenango was a Quiché center called “Xelajú”, meaning “Under the Ten Hills”. Although some references state the meaning as “Place of the Ten Deer”. Quetzaltenango is a Nahuatl-origin word that means “Under the wall of the Quetzal”. Accounts of the time of the Conquest tell that the conqueror of Guatemala informed that when the Quiché prince Tecún Umán died, he was wearing an emerald-green suit made of quetzal feathers, for which the newly founded Spanish city was named Quetzaltenango. This city played an important role during the independence movement. In 1822, the political leaders of the time swore their loyalty to the Mexican emperor Iturbide. In 1838 Quetzaltenango became part of the Sate of Los Altos (the “Highlands”), as sixth member of the Central American Federation. On 29 of October 1825 Quetzaltenango got the status of City by degree number 63. But later on, on 1897 it got separated from the Guatemala government, due to the discontent among the population because the Government of José María Reyna Barrios cut the budget for investment in education, closing schools, to invest funds in the beautification of the infrastructure and the subsequent failure of the Central American exhibition, which caused an economic crisis in the country. The high of the crisis was when the President extended his term by four years by means of a forced extension. After some protests, September 7, insurgents took the barracks and public offices of San Marcos and along with an improvised army formed by workers, merchants and professionals, marched towards to Quetzaltenango. The leaders of the movement were betrayed and handed over to the military men loyal to Reyna Barrios, who ordered to execute them by firing squad, without prior trial. Order which subsequently withdrew as a result of the pleas presented by the people of Quetzaltenango. Unfortunately the Minister of the Interior, Estrada Cabrera, who should Telegraph the message, had a personal dispute with Aparicio, one of the leaders, so he delayed sending the telegram on purpose, so it arrived after the death of Aparicio. Apparently, Estrada Cabrera had wanted to take over the Electrical Utility Company of Quetzaltenango, and Aparicio was his main obstacle. So the Minister took advantage of the circumstances to remove him. Aparicio y Aguilar, and around two hundred of the fallen in the battle of Quetzaltenango were buried in a mass grave in the cemetery of Quetzaltenango, known since as the "cemetery of the martyrs». By the end of the XVIII Century, the coffee plantations became relevant and the department prospered. In 1902, the Santa María volcano erupted, and the earthquakes produced partially destroyed the city of Quetzaltenango, along with a few of the coffee plantations. Nevertheless, some neo-classical buildings still remain to this date. “Xela” is located 206 kilometers (128 miles) from Guatemala City, and is reached by taking the Pan-American E Highway, or 234 kilometers via the international Pacific highway. Due to its strategic location, many children whose homes are as far as 150km from the city move to Quetzaltenango to further their studies. For this reason, this city has the greatest amount of educational centers in the country. It is currently considered as the second most important city of Guatemala, due to its size, industrial, cultural, and commercial activity. It has preserved its colonial architecture. In the city there are cinemas, nightclubs, restaurants and shopping centers, which offer fun for locals and visitors; those who like to relax and talk in the pews or walk around the central park Several neo-classical buildings can be seen, among which those are located around the Centroamérica Park, considered the heart of the city. East of the plaza lies the Espíritu Santo (Holly Spirit) Cathedral with its two facades. The first one, first constructed in 1535, is very ornamented, and the latter, of neo-classical style, forms part of a structure made of several domes which dates back to 1899. On the south end of the park is another building with such characteristics, called La Casa de la Cultura, where the Natural History Museum is housed, which contains a collection of pre-Hispanic pieces and historical memorabilia. 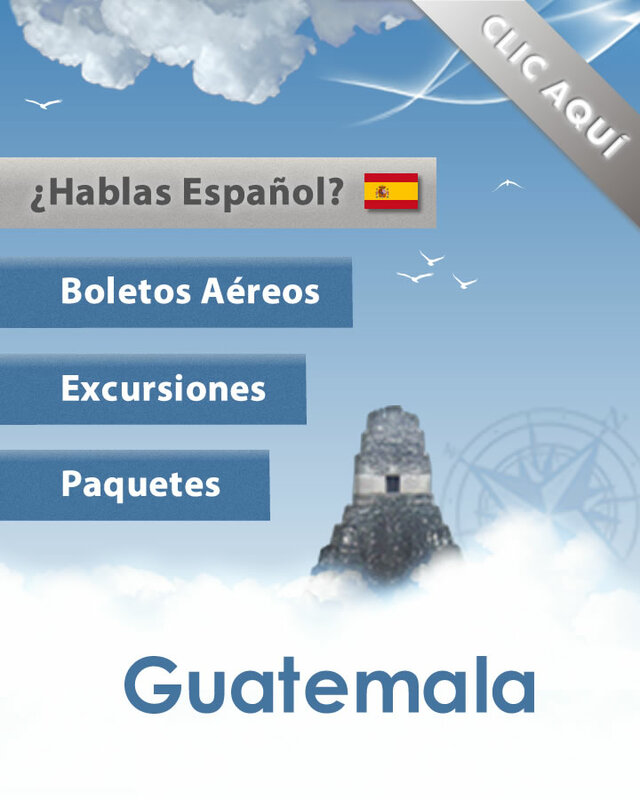 This is also the site of the Information Office of the Guatemalan Tourism Board, or INGUAT. The Municipal Theater is located at 1st street, between 14th and 14th “A” Avenues, and is decorated with several busts of local scholars. Colorful inclined stone-covered streets that rise and fall, red-roofed houses, parks and churches, and mansions built by the rich local coffee growers are part of the urban landscape of the city. On the outskirts of the city is located the Cerro el Baúl, from where one can get a magnificent view of the city and the surrounding mountains. Xelajú, as this city is known, has an altitude of 2,333 meters (4374 ft) a.s.l., and has a cold and humid climate. The most important celebration that takes place at the city is the city fair, which runs from September 12th to the 18th, with the famous Central American Floral Parade. This actually is one of the most important celebrations of independence day of the country Quetzaltenango’s surroundings include several villages and tourist sites, of Quiché and Mam origin, and that have several small plazas with amazing colonial-style churches, where the tourist can appreciate the agricultural and handicraft richness of the region on market days. For this reason, it is recommended that this city be used as an operations center. It was founded the 28th of December of 1956. It houses over 200 animals of different species of birds, mammals, reptiles, and fish. And receives 1 million visitors per year. Although it is not one of the largest or most beautiful of the world, here you may find regional fauna, Since one of the objectives of the zoo is for people to get to know the animals, and to protect them. It is also the main place for rescue. They receive wounded animals and treat them in order to save their lives, and to provide safe house to them. It belongs to ALPZA ( initials in Spanish for Latin-American Zoo and Aquarium Association), and AMACZOOA (Zoo and Aquarium Association for Mezzo America and the Caribbean. It was built in 1892, although in 1902 were added some columns after the earthquake in Santa Maria. The most important time of this theatre was from 1923 to 1925 when foreign companies produced a series of Operettas and Operas. It was inaugurated January 2, 1869. It is built out of stone and it harbors the City Hall to this date. Its architecture is considered to be Classical Corinthian. It communicates the 12 and 13 Avenue, opposite the Centro América Park. The highlights of the building are the beautiful stained glass windows and lovely figures of the frescoes in its ceiling, its huge iron gates are the largest in the city. In this building you may find Greek, Roman, Renaissance and Moorish architecture, from different periods. No definite style can be defined. Several government organizations have used the building for its offices, until finally the building was separated into small shops and sold, and the place became a Shopping Mall at the very center of the city. It is one of the main tourist attractions of the city. The building holds the Minerva festivals, which celebrate the end of the school year. The festivities included a parade, with participation of public and private schools, small dancing shows, an official discourse, playground, a snack, and it ended with a ball for adults. The building is part of a group that was erected throughout the country. The first of these was originally named the Palace of Science and was located at the Racecourse in the North of the city. A total of 49 temples to Minerva could be found throughout the country, of which three were located in Quetzaltenango. This small chapel, built during colonial times. It is located at the top of the slope, at the end of a beautiful cobbled Street, and is home to the image of the San Salvador del Mundo. Image dating back to more than a hundred years. The image is worshipped by hundreds of faithful who visit it on a pilgrimage all the 7 of August. The original church suffered serious damage by the earthquake of 1853, and ended up falling to the floor completely with the earthquake of 1902. The new temple was erected on the same site. Located 9 kilometers (5.5 miles) from Quetzaltenango City. It is a very ancient village, where the San Jacinto church was built on 1524, which was the first religious building of the Kingdom’s Captaincy General. It is a beautiful example of colonial architecture. It is also famous for its jaspe textiles, its liquor (called “caldo de frutas” or “fruit soup”) and its delicious “rompope”. Market days are on Tuesdays, and its celebration day is on August 25. Located 12 kilometers (7.5 miles) from the City of Quetzaltenango, it is placed on a beautiful valley and within a prosperous region, rich in crops and fruit orchards. The Lacandón and Siete Orejas volcanoes surround the town. Its inhabitants build woven-cane and wicker furniture, weaving the fibers as mere thread. Musical instruments and beautiful regional textiles can also be found here. Market days are on Sundays. Located 5 kilometers (3 miles) from Quetzaltenango, it’s a fertile-land valley, known for its vegetables and fruits cultivated on small parcels. Its name means "place where the water flows " as nearby are the thermal waterbeds of Aguas Amargas and El Rosario, where you’ll be able to dive into sulphurous waters. Market days are on Sundays, and its local fair is celebrated on August 15th. Located 13 km from the town of Quetzaltenango. The importance of this town is that here you may find the oldest manufacture of textiles, and one of the largest in the country. There is also a factory and blown glass that you can visit. Its market day is on Sunday and its patron Saint day is August 15. Located 9 kilometers (5.5 miles) from Xelajú, it lies next to the river banks of the Salamá River. Its features include adobe houses broken-slate-roofs, whose sizes contrast the surrounding mountains and the Santa María volcano. Its inhabitants wear really colorful textiles, made using pre-Hispanic techniques, with rich colors and designs that portray objects from the surrounding areas. Vegetables, corn, beans and wheat are cultivated on the river banks. The whole valley is covered with huge volcanic stones. At the central park you’ll find the colonial church, famous for the carvings on its façade and the silver cross on the altar. This is one of the few villages where Maximón (or San Simón) represented as a figurine with doll-like head, is worshipped with Pom and ceremonies. Market days are on Sundays and its main fair is celebrated on November 25th. These thermal-water baths with healing properties are located very near Almolonga; its waters flow from the furnaces of the Cerro Quemado volcano. These baths were built during the presidential period of General Jorge Ubico, reason for which it received that name, on his honor. Other thermal fountains to be visited are Los Vahos and Aguas Amargas. Do not swim in the pools, restrict your activity to walk slowly and relax. The reason is that with the temperature change, probably your pressure will drop. This may cause you to become dizzy and you could faint. It is recommended to carry cash, since the restaurant and shop don't take credit or debit cards. Of Mam origin, it is located north of the Chicabal volcano. Its inhabitants during the Santa María volcano eruption in 1902 abandoned the village. Later, people came back and it is nowadays one of the western highlands most interesting communities. Women are excellent weavers, who embroider geometric figures depicting pre-Hispanic and modern designs that end up decorating their huipiles (or typical blouses). Located on the San Martín Sacatepéquez area. It rises 2900 meters (9560 ft). One of the main highlights of this volcano is a lagoon that the locals consider sacred. Throughout the month of May, they go up to the lagoon and perform their Mayan rituals. Camping or swimming is not recommended, given the religious importance the lagoon has for the local Indians. It is an active volcano. The crater can be reached by car or by bus up to the El Pinal plains; the remainder of the way up has to be done by foot. There are other four volcanoes: Santa María, Cerro Quemado, Lacandón and Siete orejas. Visitors are encouraged to bring with them warm clothes when they visit Quetzaltenango high lands, especially during the months of November to January, but also for the rest of the year, since the evening cold is famous. Legend has it that long time ago; there was a group of people who lived on the mound of a high Hill, which was in front of a mountain named Twi sak´bajlak. In that mountain lived a very large bird called Twi. The Twi, in addition to being large, was a very dangerous bird, because when children were neglected it stole them and took them to its nest, where it ate them to the bone. Adults tried in vain to kill the Twi, but the animal had its nest at the top of a really high cliff, where he went hiding whenever he saw adults. So one day they met and decided to leave the place. They abandoned the Hill, leaving only a great bell, because they could not carry it due to its great weight. Then they reached Concepción Chiquirichapa. Its people came out to meet and told them that they could not stay, since there was no place to put them. You see, in those days the village was on the banks of a large lake, right in the place where the town of San Juan Ostuncalco sits today. The Chief of the migrants was called Juan Diego Lopez. He asked, on behalf of all the refugees, to give them the Lake. In return, they committed to remove the water from it. Residents of Concepción Chiquirichapa accepted and gave the lake to them. There was a reason why Juan Diego Lopez was the Head Chief, and was that he was very insightful as well as having a mysterious power. After thinking how to draw the water from the Lake, he arranged long sticks, such as blowguns, joined them, and put them in the direction to the East, towards the Department of Sololá; then made the water pass through them, and so Lake Atitlan was formed. Everyone was very happy and grateful towards Juan Diego Lopez, so when all the water was removed, and having built their homes; they named the new town San Juan, in honor of its founder: Juan Diego Lopez, and they added Ostuncalco since Juan Diego had a habit to call everyone using the Tun. To this day, on holidays such as St. John's day, Easter and the day of the Saints, the bell that they left on the Hill, which today is called Twi campani [On top of the Bell], can be heard. In 1902 originated the Santiaguito volcano, considerate son of the Santa Maria volcano, and the most recent in the history of Guatemala. The formation of the new volcano gave rise to the hot springs known as Fuentes Georginas. At the Fuentes Georginas site, in addition to the thermal pools, there is an ecological trail. Prudence while walking is highly recommended while exploring it, because it is inside a ravine and help is limited and scarce. June 29t, Saint Peter y Saint Paul. 4th Friday of lent, Variable, Lord of Acaperagua. May 3, The Holy Cross. August 15, Our Lady of the Assumption. December 8, Our lady of the Immaculate Conception. May 3, The Child of the Cross. June 24, Saint John Baptist. 1 Friday of lent, Variable, The Lord of the Three Falls. October 7, Virgin of the Rosary. August 25, St. Louis IX King of France. October 4, San Francisco de Assisi. November 11, St. Martin Bishop of Tours. September 21, Saint Mathew Apostle. September 29, Saint Michael Archangel. November 25, Santa Catarina de Alexandria.